Russia will sue for the protection of Russian diplomatic property in U.S. courts after the Trump administration closed the Russian consulate in San Francisco and seized the Russian trade mission in Washington, D.C. Russian Foreign Minister Sergei Lavrov told American Secretary of State, Rex Tillerson about the decision over the phone. 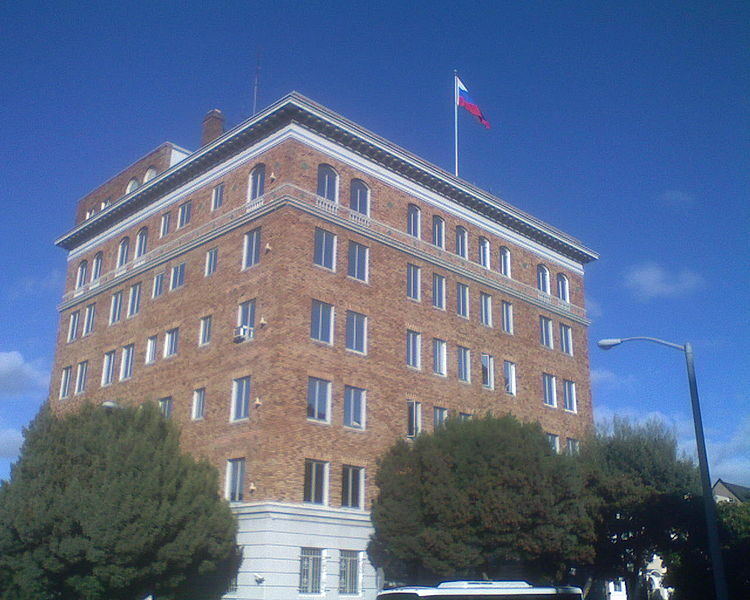 “The sides discussed the situation in bilateral relations and Lavrov stressed that the seizure of Russian diplomatic property in the United States by the US authorities is a flagrant violation of international law,” the Russian Foreign Ministry said. “The minister drew attention of the US top diplomat to Russian President Vladimir Putin’s statement at a news conference after the BRICS summit in China’s Xiamen that the Russian side plans to use court procedures over Washington’s illegal actions. “It is up to the Foreign Ministry to decide what court the case is to be taken to. President Vladimir Putin has issued on-line instructions to Foreign Minister Sergey Lavrov,” Russian presidential spokesman Dmitry Peskov told the media. “The Ministry will now be looking for the best option that would allow for protecting our legitimate interests in the juridical dimension,” reported Russian state news agency TASS.